In May 2013, I went to Japan with my dad, Derek Freyberg, bringing with me my Canon EOS Rebel T3i. I’ve chosen five photographs from the trip to share here on InMenlo. These and other images from that trip will be featured in an exhibit at the Portola Art Galley in Menlo Park this coming April, and at least one of these will be featured in my January/February 2014 show, “Sacred Places of the World”, at the Mercy Center in Burlingame. The top image shows some of the thousands of red torii (shrine gates) donated by worshipers leading to the top of Mt. Inari-san from Kyoto’s Fushimi-inari-taisha Shrine. People visit the 8th-century shrine to pray for success in business, or to hike to the viewpoint overlooking Kyoto. At low tide, visitors can walk out to the O-Torii Gate of Itsukushima Shrine on Miyajima, off the coast of Hiroshima. At high tide, the 12th-century shrine behind it — built on stilts — appears to float on the water. 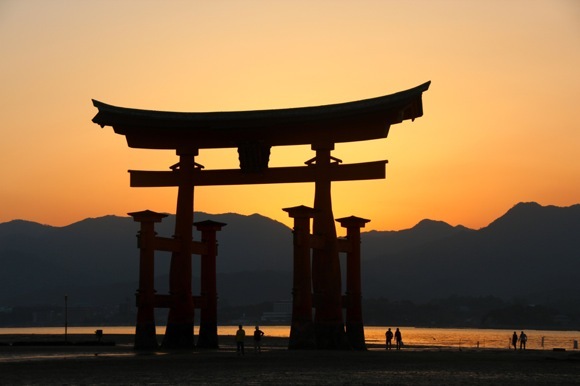 The entire island of Miyajima, with its beautiful forested mountains, has been considered sacred since ancient times. 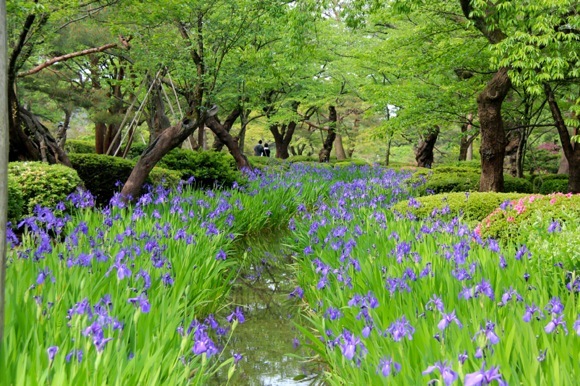 During Spring, this river of irises is one of the highlights of Kanazawa’s Kenroku-en garden, a “strolling-style landscape garden” considered one of Japan’s three most beautiful gardens. The garden was named “Kenroku-en” (meaning “garden that combines six characteristics”) because it exhibits all six ideal qualities outlined in ancient Chinese literature: spaciousness, seclusion, artifice, antiquity, watercourses and panoramas. The peaceful 17th-century Taiyuin Mausoleum (built for the third successive shogun Iemitsu Tokugawa) stands in a grove of cedar trees within the Nikko shrine and temple complex. 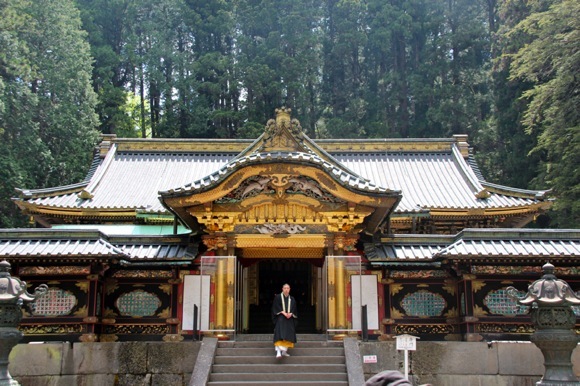 Nikko is a 2-hour train ride from downtown Tokyo and is one of Japan’s World Heritage sites. Situated along the historic Nakasendo Highway (built in the 17th century to link Kyoto and Tokyo), Narai was once the most prosperous post town of the Kiso Valley. Today it is a preservation area with wonderful examples of Edo-period houses. Photos (c) 2013 by Frances Freyberg, a Menlo Park photographer who is a frequent contributor to InMenlo. Beautiful set of photos. The picture of Narai really stands out because it makes me want to visit a part of Japan I’ve never seen before. Thanks for sharing.